The new Range Rover Sport is a powerhouse SUV that can handle any terrain with style, and you’ll find this terrific Land Rover at Land Rover Gulf Coast in Mobile, AL! Customers love the dynamic handling and dramatic style of this luxury SUV, so why not take it for a spin? 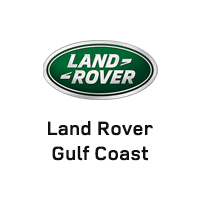 Visit our dealership today – serving the Fairhope, Destin, Mobile, and Florida panhandle area. Indus Silver Metallic 2019 Land Rover Range Rover Sport Supercharged 4WD 8-Speed Automatic 5.0L V8 Supercharged 21"5 Split Spoke Style 5007 w/Black Diamond Turned Finish, Red Brake Calipers, Ebony Morzine Headlining, 16-Way Heated Front Seats w/Memory, 4-Zone Climate Control, 8" Rear Seat Entertainment, Adaptive Cruise Control w/Stop & Go, Auto High Beam Assist (AHBA), Black Contrast Roof, Blind Spot Assist, Climate Comfort Pack, Configurable Ambient Interior Lighting, Drive Pro Package, Front Center Console Refrigerator Compartment, Head-Up Display, Heated & Cooled Front Seats w/Heated Rear Seats, Heated Steering Wheel, High Speed Emergency Braking, Lane Keep Assist, Narvik Black Mirror Caps, Radio: Meridian Surround Sound System (825W), Vision Assist Package, Wheel Protection Pack w/Chrome Locks (Preferred). Recent Arrival! Let the team at Joe Bullard introduce you to an entirely new kind of car-buying experience. You will love doing business with us no matter where you live! If you’re looking for your next Land Rover or Jaguar we have them! We stock over 200 pre-owned cars including all makes and models to fit your lifestyle! We have your next used car, truck or SUV and something for every taste and every need. If you want peace of mind our Certified sales staff and technicians are here to help! We offer a variety of financing opportunities! If you are asking yourself what is my trade worth, we can help you answer that too! Servicing the Mobile Alabama area and we ship to anywhere in the US! We stand up to what we say and its simple! The customer comes first! Visit us at any of our locations or 24/7 at www.joebullard.com. 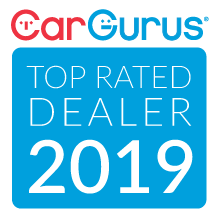 Corris Gray Metallic 2019 Land Rover Range Rover Sport Supercharged 4WD 8-Speed Automatic 5.0L V8 Supercharged 21"5 Split Spoke Style 5007 w/Black Diamond Turned Finish, Rear Seat Convenience Pack, Premium Interior Protection & Storage Pack, 16-Way Heated Front Seats w/Memory, 360 Surround Camera, Adaptive Cruise Control w/Steering Assist, Adaptive Cruise Control w/Stop & Go, Auto High Beam Assist (AHBA), Blind Spot Assist, Configurable Ambient Interior Lighting, Drive Assist Package, Head-Up Display, High Speed Emergency Braking, Lane Keep Assist, Navigation System, Park Assist, Power moonroof, Radio: Meridian Sound System (380W), Vision Assist Package. Recent Arrival! Let the team at Joe Bullard introduce you to an entirely new kind of car-buying experience. You will love doing business with us no matter where you live! If you’re looking for your next Land Rover or Jaguar we have them! We stock over 200 pre-owned cars including all makes and models to fit your lifestyle! We have your next used car, truck or SUV and something for every taste and every need. If you want peace of mind our Certified sales staff and technicians are here to help! We offer a variety of financing opportunities! If you are asking yourself what is my trade worth, we can help you answer that too! Servicing the Mobile Alabama area and we ship to anywhere in the US! We stand up to what we say and its simple! The customer comes first! Visit us at any of our locations or 24/7 at www.joebullard.com. Indus Silver Metallic 2019 Land Rover Range Rover Sport Supercharged 4WD 8-Speed Automatic 5.0L V8 Supercharged Interior Protection & Storage Pack, Sliding Panoramic Roof, Heated & Cooled Front & Heated Rear Seats, 22" 9 Split-Spoke Style 9012 w/ Gloss Black Finish, Ebony Morzine Headlining, 8" Rear Seat Entertainment, Adaptive Cruise Control w/Stop & Go, Auto High Beam Assist (AHBA), Blind Spot Assist, Configurable Ambient Interior Lighting, Drive Pro Package, Head-Up Display, High Speed Emergency Braking, Lane Keep Assist, Radio: Meridian Surround Sound System (825W), Vision Assist Package. Recent Arrival! Let the team at Joe Bullard introduce you to an entirely new kind of car-buying experience. You will love doing business with us no matter where you live! If you’re looking for your next Land Rover or Jaguar we have them! We stock over 200 pre-owned cars including all makes and models to fit your lifestyle! We have your next used car, truck or SUV and something for every taste and every need. If you want peace of mind our Certified sales staff and technicians are here to help! We offer a variety of financing opportunities! If you are asking yourself what is my trade worth, we can help you answer that too! Servicing the Mobile Alabama area and we ship to anywhere in the US! We stand up to what we say and its simple! The customer comes first! Visit us at any of our locations or 24/7 at www.joebullard.com. Carpathian Gray Premium Metallic 2019 Land Rover Range Rover Sport HSE 4WD 8-Speed Automatic 3.0L V6 Supercharged Interior Protection & Storage Pack, 22 Way Electric Massage Seats, Head-Up Display, 21" 9 spoke Style 9001 w Gloss Black finish, 21" Full Size Spare Wheel, Tow Hitch Receiver, Three Zone Climate, Red Brake Calipers, Ebony Morzine Headlining, Adaptive Cruise Control w/Stop & Go, Blind Spot Assist, Drive Pro Package, High Speed Emergency Braking, Lane Keep Assist, Radio: Meridian Surround Sound System (825W). Recent Arrival! Let the team at Joe Bullard introduce you to an entirely new kind of car-buying experience. You will love doing business with us no matter where you live! If you’re looking for your next Land Rover or Jaguar we have them! We stock over 200 pre-owned cars including all makes and models to fit your lifestyle! We have your next used car, truck or SUV and something for every taste and every need. If you want peace of mind our Certified sales staff and technicians are here to help! We offer a variety of financing opportunities! If you are asking yourself what is my trade worth, we can help you answer that too! Servicing the Mobile Alabama area and we ship to anywhere in the US! We stand up to what we say and its simple! The customer comes first! Visit us at any of our locations or 24/7 at www.joebullard.com. Black 2019 Land Rover Range Rover Sport Supercharged 4WD 8-Speed Automatic 5.0L V8 Supercharged 21" 5 Split-Spoke Style 5085 w/ Silver Finish, Cabin Air Ionization, Red Brake Calipers, Ebony Morzine Headlining, Dark Engine Turned Aluminum Trim Finisher, 16-Way Heated Front Seats w/Memory, 360 Surround Camera, 4-Zone Climate Control, Adaptive Cruise Control w/Steering Assist, Adaptive Cruise Control w/Stop & Go, Blind Spot Assist, Car Care Kit (Preferred), Climate Comfort Pack, Drive Assist Package, Front Center Console Refrigerator Compartment, Heated Steering Wheel, High Speed Emergency Braking, Lane Keep Assist, Park Assist, Premium Int Protection & Storage Pack (Preferred), Premium Rear Seat Convenience Pack, Smartphone Pack (Preferred), Soft Door Close, Twin-Blade Sunvisors w/Illuminated Vanity Mirrors. Recent Arrival! Let the team at Joe Bullard introduce you to an entirely new kind of car-buying experience. You will love doing business with us no matter where you live! If you’re looking for your next Land Rover or Jaguar we have them! We stock over 200 pre-owned cars including all makes and models to fit your lifestyle! We have your next used car, truck or SUV and something for every taste and every need. If you want peace of mind our Certified sales staff and technicians are here to help! We offer a variety of financing opportunities! If you are asking yourself what is my trade worth, we can help you answer that too! Servicing the Mobile Alabama area and we ship to anywhere in the US! We stand up to what we say and its simple! The customer comes first! Visit us at any of our locations or 24/7 at www.joebullard.com. The new Range Rover Sport sets itself apart from the sea of SUVs with its impressive performance capabilities. Just what can you expect from this award-winning vehicle? Choose between the robust 5.0L Supercharged V8 with 340 hp or the efficient 3.0L Diesel with 443 lb-ft of torque! Plus, all-wheel drive is standard on all models for enhanced handling. This SUV can handle any off-road adventure with the help of Terrain Response technology. Whether navigating the highway or trudging down a gravel road, you can easily pick a drive mode optimized for the terrain. The Range Rover Sport is also full of high-tech luxuries like the InControl Touch Pro infotainment system, optional 22-speaker Meridian Audio system, and more! If options like the Evoque lack the muscle that you need, check out the Range Rover Sport at Land Rover Gulf Coast in Mobile, AL. Contact us to set up a test drive!